Assembly Round Up: The Committee for the Executive Office - What it does and how it works? The Committee for the Executive Office - What it does and how it works? 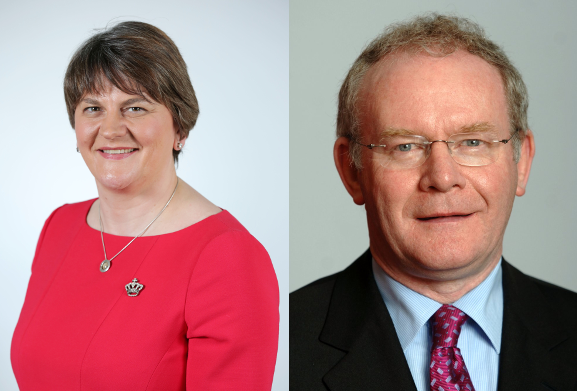 The Committee for the Executive Office was established to advise and assist the First and deputy First Ministers on matters within their responsibility. The Committee undertakes a scrutiny, policy development and consultation role with respect to the Department for the Executive Office and plays a key role in the consideration and development of legislation. Throughout the year, the Committee examines and monitors Departmental policy and financial spending, scrutinises proposed legislation, and conducts inquiries into areas of current interest. The Committee examines ‘Quarterly Monitoring Rounds’ which are reports produced by the Department, outlining the expenditure of the Department. The reports detail how the Department has spent its allocated monies to date, if it is able to surrender any unused money, if it intends to make any spending changes to what was agreed in the overall Budget, and whether it needs to bid for any additional funds. There are three Monitoring Rounds each year: June, October and January. The Committee invites the Ministers and Departmental Officials to attend meetings on a regular basis, to update and inform the Committee Members on the implementation of any current and future policies. Committee Members have this opportunity to directly question Ministers and Departmental Officials on their work. The Committee produces a number of reports on its work which outline the decision making process behind its findings and recommendations. The Committee for the Executive Office meets each week when the Assembly is in session. Committee carry out inquiries into specific areas of interest. You can contribute to any of the Committee’s Inquiries by providing evidence during the consultation period. Information on how and when to do this will be advertised in newspapers, via the Committee’s twitter page, in the weekly Committee newsletter and on the Committee’s webpage.